Ocean Spray Hot Tubs and Saunas proudly celebrates two mentions in Hot Spring Spas 40 Acts of Kindness Celebration! Million Dollar Listing NY’s one and only Ryan Serhant came to Ocean Spray of Westhampton Beach August 17-20, 2017 to film an episode of their newest BRAVO television show, to air this fall!. 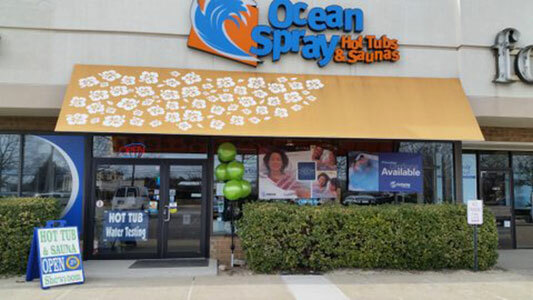 Ryan S. worked with Ocean Spray staff, training our newest team member how to sell Hot Spring Spas like a shark.Ocean Spray hosted an event on the last day to commence filming; an outdoor party of hot tubbing, swimming, refreshments etc. 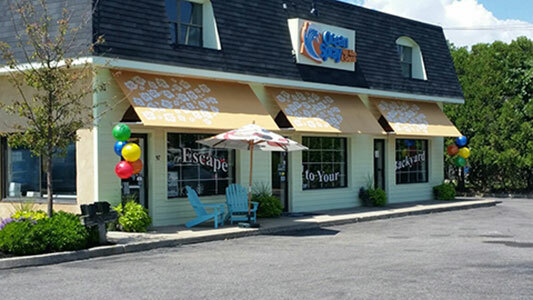 All of our hot tub profits from the sale event will be donated to our favorite local charity, Moriches Bay Project. This foundation is near to our heart and community. The Moriches Bay Project™ is an aquatic restoration program created in 2013, by the West Hampton Dunes Barrier Beach Association, a 501(c)(3) non-profit volunteer organization, and by First Coastal Corporation, a coastal environmental consulting firm based out of Westhampton Beach. Ocean Spray has continually supported the foundation through donations of many kinds. Most recently, Ocean Spray owner Joe Musnicki, his wife Kathy and Sales and Marketing Director, Kristy Verity attended the ‘Save the Bay Gala’ of which all ticket sales went toward the cause. When learning that BRAVO would be coming to Westhampton Beach to film a national television show, we decided it would be a great way for us to incorporate awareness of this local organization whom work tirelessly to not only clean our local waterways, through oyster and eel grass farming, but to teach the community and youth how to help, building a foundation for generations of clean water surrounding our island. The national exposure and funds from our sales this day was a welcomed surprise to Moriches Bay Project organizers that Ocean Spray was happy to deliver. Meredith Volpe, a sales team member of our Melville, Long Island, NY location, is always finding a reason to fill a spa with goodness! Most recently, she ran a food drive collecting non-perishable items for Long Island Cares, a non-profit program that delivers food and resources to the hungry and less fortunate in our communities. She has also collected toys for donation to children with cancer who are staying in our local hospitals.